A musical collaboration between LUDanS, LUTG and ULMS bringing you the finest talent they have to offer. 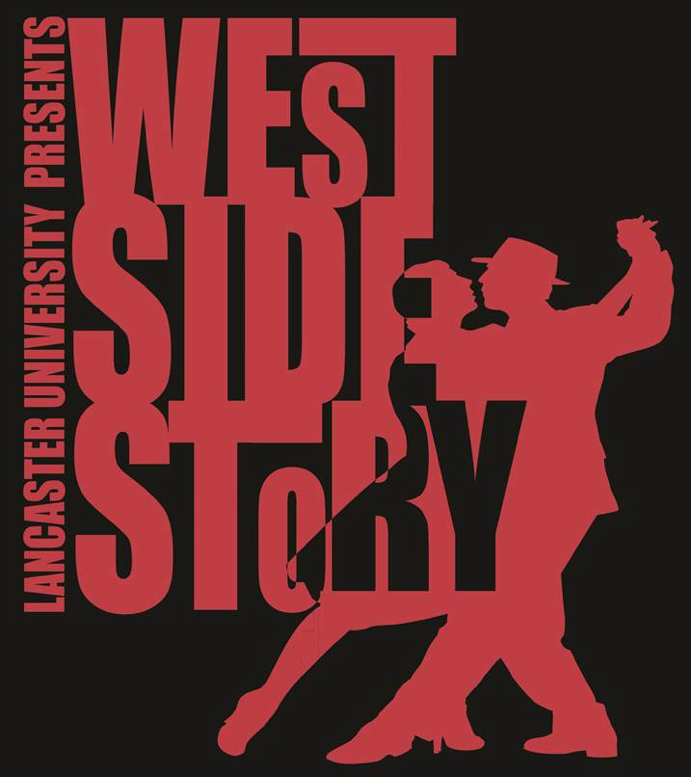 Sondheim’s West Side Story inspired by William Shakespeare’s Romeo and Juliet, tells the story of a rivalry between two American inner city gangs, the Jets and the Sharks; whose member fall in love. In spite of the violence, the true story at the core of the show is two lovers trying to find a way to be together and whether either can survive when hate and ignorance are unwilling to yield. This production has been brilliantly directed, musically directed, created and choreographed by the wonderful talents of Lancaster University Societies; we hope you enjoy it as much as we’ve enjoyed doing it.